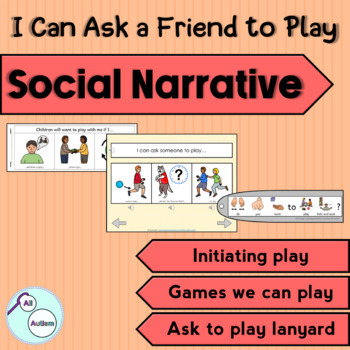 Social story about asking a peer to play during outside play time. Suitable for students who want to play with others but tend to initiate interactions inappropriately. 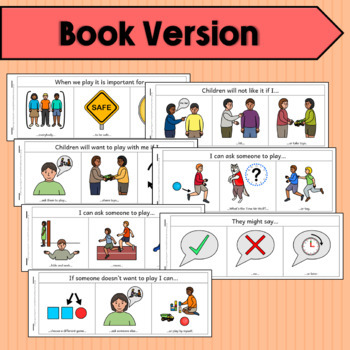 Includes a visual support which students can use to ask a peer to play poison ball, what's the time Mr Wolf, tag, hide and seek, races or on the playground. 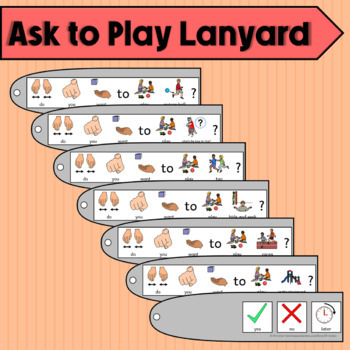 The visual can be attached to a lanyard and carried by the student or an adult. 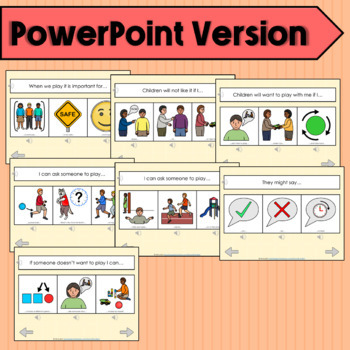 Easy to read and engaging comic strip style booklet. There are 2 versions of the story, one featuring male characters and the other featuring female characters. Black and white versions are also included.